“Professor Martinez San Miguel is one of those rare scholars of broad thematic, geographical, linguistic and multi-disciplinary range whose books always force us to shift parameters and reconsider accepted interpre­tations of literary and cultural phenomena,” Professor of Hispanic Studies on the Rondolph Distinguished Professor Chair Lizabeth Para­visini-Gebert said of the recent speaker. Not often do we encounter scholars whose studies encompass as wide a variety as those of Rutgers University Professor Yolanda Marti­nez-San Miguel Ph.D.
As an author, Martinez brought together the fields of Feminism and Migration within the Caribbean. To best represent her, the His­panic Studies, Urban Studies, Women Studies, French and Francophone Studies, Africana Studies and Latin American and Latino Studies departments collaborated to bring Martinez to Vassar to talk about the coloniality of diaspora in the Caribbean and feminist creolization in the Caribbean. 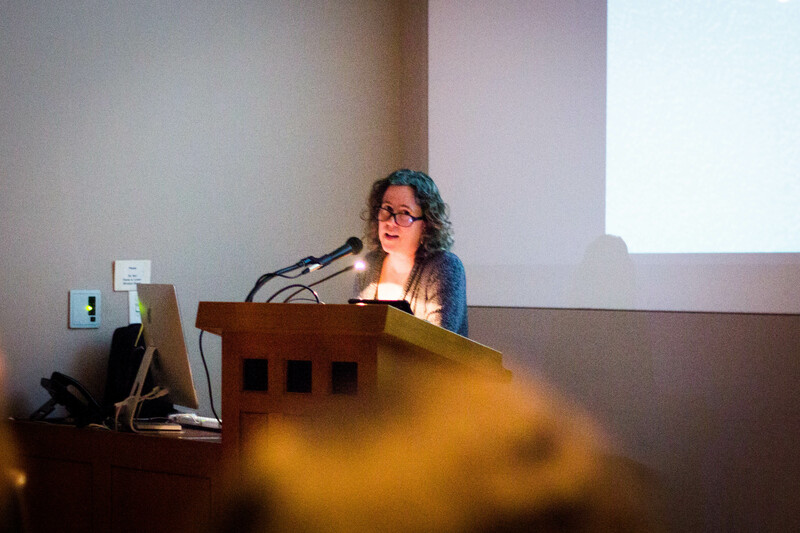 In her lecture, Martinez spoke to the linguis­tic and cultural identity in the Caribbean that is often up to debate. Creolization, the process by which geocultural formations are produced in the Caribbean, is often crucial to the forma­tions of different identities. “In many cases this cultural formation is deprived of interaction and so creolization is an important cultural experience in the sense that it does not neces­sarily depend only on racial formations and it actually thinks about other forms of identity,” Martinez said. At Rutgers, Martinez teaches in the Depart­ment of Latino and Pan-Caribbean Studies and the Program of Comarative Literature. Along with her teaching, she is a renowned author. Her second book, “Caribe Two Ways: cul­tura de la migracion en el caribe insular his­panico,” focuses on different interpretations of displacement and the reconfiguration of a contemporary Caribbean identity in Cuba, the Dominican Republic, Puerto Rico and the Ca­ribbean enclaves in New York City. Her third book, “From Lack to Excess: ‘Mi­nor’ Readings of Latin American Discourse,” analyzes the narrative and rhetorical structures of Latin American colonial texts. It creates a dialogue for the contemporary studies on mi­nority discourse, minor literatures and colonial and postcolonial theory.